I am just amazed at how many awesome Chrome extensions there are out there. I could spend all day finding new ones to use! This week I picked ones that focus on productivity. 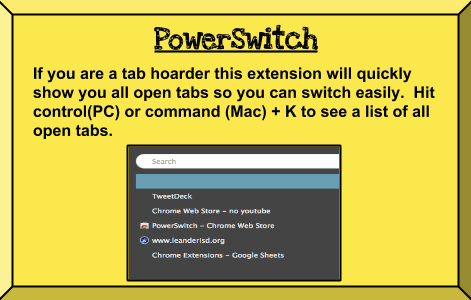 Summary: If you are a tab hoarder like me then you are going to LOVE this extension. No longer do you have to waste time trying to remember which tab is what. Simply hit Control (PC) / Command (Mac) + K and it will give you a list of all the open tabs. Click on the tab you want and it instantly takes you there. Amazing!! Summary: So maybe you aren't a tab hoarder and instead a window hoarder. If that is the case, then this is the extension for you. 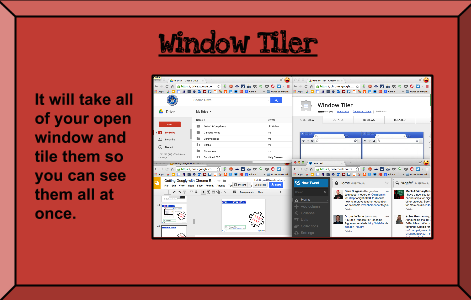 It will take all of your open windows and tile them so you can see them all at once. 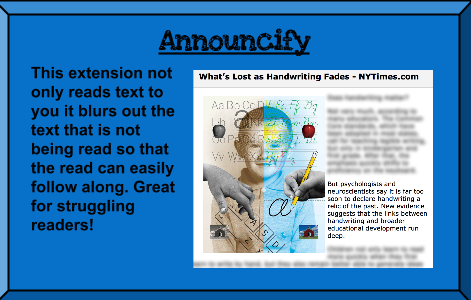 This is an awesome extension for taking notes while reviewing something. Summary: Last week I recommended Speak It. This is another great for the struggling readers or those who simply want to listen to an article. The extension converts web articles into speech, opens them in a new tab, and reads without having to select any text. The key feature is that it blurs out the text that is not being read, making it easy to track while listening. Options for the extension include adjusting speech volume, pitch, and rate. 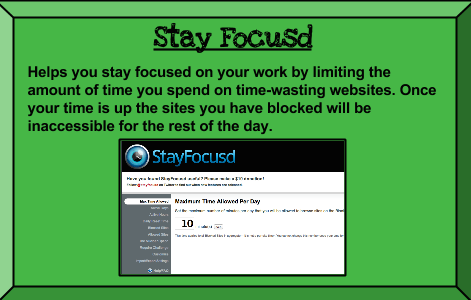 Summary: It will help you stay focused on your work by blocking sites that you find yourself "wasting time" on. You set which sites you want to be blocked and the amount of time you are allowed on the site per day. Once you reach the time allotted it will block that site for you the rest of the day. This could be a parents dream! 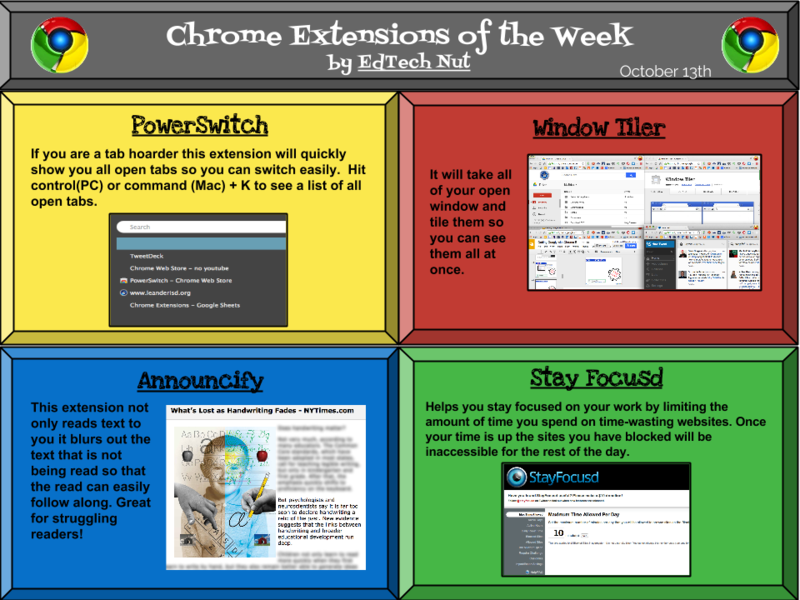 If you are new to Chrome or want to learn more, click here to see some of the great things Chrome allows you to do. Missed out on my other recommendations, click here and you can see all 44 that I have promoted to date. Happy Chroming (yeah, I just made up that word)! Cool! Can't wait to check these out! !